Gary Crowley was a young Capitol Radio DJ at the start of the 80s – which gave him a bird's eye view of all the musical changes that were taking place on the London scene of the time! 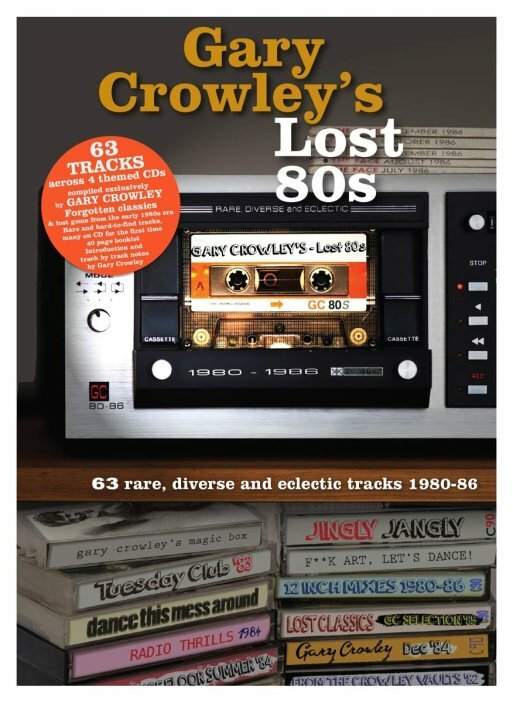 This 4CD package is a great tribute to those years – and features some of Crowley's favorite tracks from the time – some very rare, some less-so – but all put together in a great package that really reminds us how much vibrant energy was running through music during the period! The tunes are a mix of minor hits and indie classics, post-punk gems and tuneful electro numbers – with a few surprises thrown in along the way – all wrapped up in a cool book-style package, with pages of notes on the music, and lots of images too. Titles include "Stop That Girl" by Vic Godard, "Abandon Ship" by April Showers, "Stop The Rain" by Suede Crocodiles, "Jive Baby On A Saturday Night" by The Jellies, "The Big Bean" by Pigbag, "Klacto Vee Sedstein" by Blue Rondo A La Turk, "Go Deh Yaka" by Monyaka, "Coup" by 23 Skidoo, "If Only" by Funkapolitan, "Slippery People (club)" by The Staple Singers, "Tuesday Sunshine (jock mix)" by The Questions, "Brother Brother" by The Kane Gang, "Be Thankful For What You've Got" by Sunset Gun, "Keep On Keepin On" by The Redskins, "Too Many Creeps" by Bush Tetras, "Is This Really The First Time You've Been In Love" by Jo Boxers, "Get Out Of London (intacontinentalballisticmix)" by Intaferon, "The Alibi (ext mix)" by Fun Boy Three, "It's A Man's Man's Man's World (ext mix)" by Brilliant, and "Looking Good Diving With The Wild Bunch" by Morgan McVey. © 1996-2019, Dusty Groove, Inc.